Ageing is inevitable. 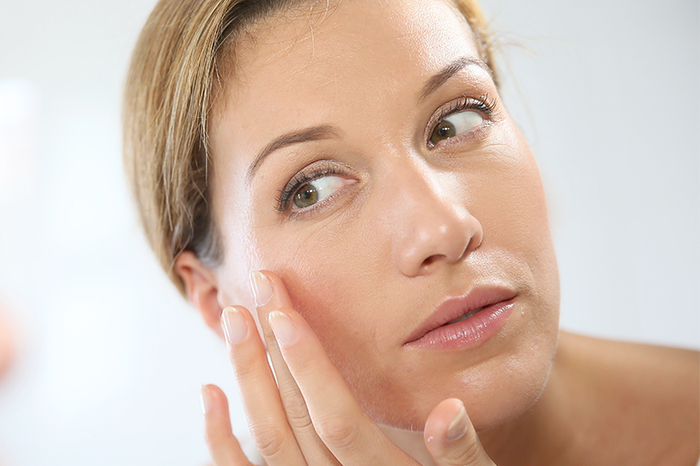 The older you get the thinner and less firm your skin becomes which causes it to sag and wrinkle. Your body also produces less collagen and elastin which are the protein fibres that help your skin maintain its youthful appearance. 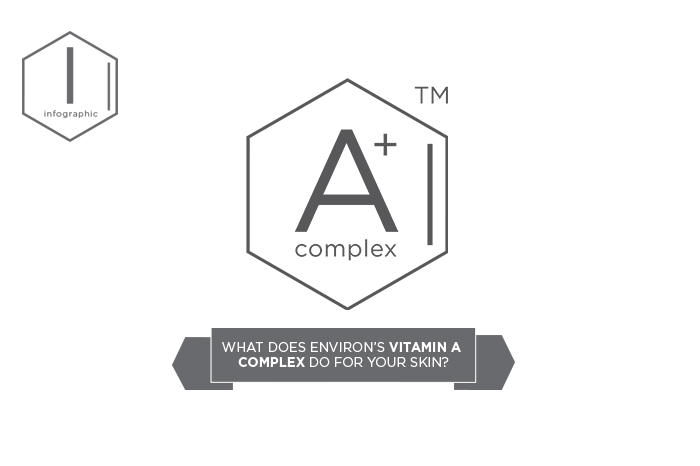 Another skin ageing culprit is a deficiency of vitamin A.
Combating the signs of ageing can be confusing, especially when the market is flooded with all sorts of lotions and potions that are making fancy claims. But if you better understand which ingredients and ingredient combinations work with your skin to keep it looking younger for longer, then it will be easier for you to do right by your skin. To really make a visible difference to your skin, you need a product with the right mix of ingredients. The ideal smart ingredient combination you should look for includes vitamin A, peptides and antioxidants as these essential skin nutrients assist with slowing down the ageing process. Promotes skin’s natural moisturising factors and gives it a radiant glow. Strengthens skin’s outer layer to help keep it firm. Stimulates the production of collagen and elastin to help keep skin looking healthy. Assists in normalising the appearance of skin abnormalities. Peptides are fragments of proteins and are the building blocks of the skin. A lack of peptides results in the skin losing its firmness, which results in the appearance of wrinkles. Peptides are intelligent ingredients that help revitalise the skin’s building blocks so it becomes more resilient and youthful. Antioxidants are essential in fighting the signs of ageing as they help combat the harmful effects of the elements that skin is exposed to. They also help sooth the skin to help reveal a more radiant, youthful appearance. 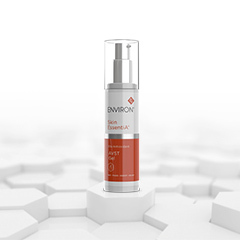 The Environ Skin EssentiA® Range has a powerful combination of vitamin A, C and E, peptides and antioxidants. They work together to help create even, smoother and healthier looking skin that glows with youthful radiance. 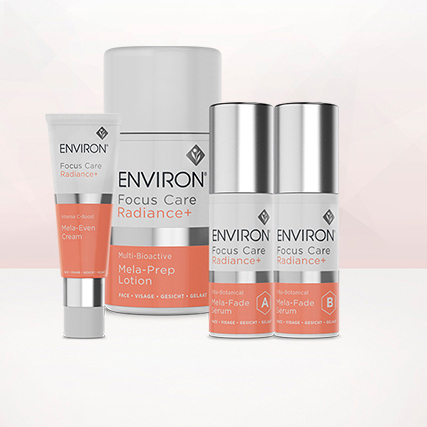 This range is part of Environ’s industry-leading Vitamin STEP-UP SYSTEM™. 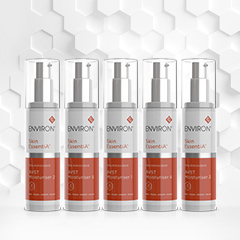 This unique system was created to help skin become more comfortable with increased levels of vitamin A and other ingredients. 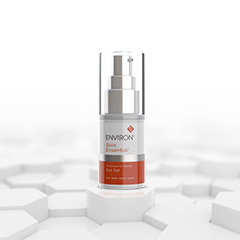 Reveal beautiful, youthful-looking skin with Environ’s Skin EssentiA® Range. This gel is scientifically formulated for use around the delicate eye area. It is rich in antioxidants, peptides and vitamins that assist in creating a more youthful eye appearance. This light moisturising gel helps provide the skin with the essential nutrients and moisture it needs to look healthy. It contains a low concentration of vitamin A and vitamin C as well as antioxidants and botanicals. With variable amounts of vitamin A and C, our range of moisturisers use the unique STEP-UP SYSTEM™ to help skin become more comfortable with increased levels of vitamin A and other ingredients. Reveal the youthfully beautiful skin you were born to have. Find out how the right mix of ingredients can make all the difference to the appearance of your skin.